Editor's note: Hypertension is one of the most common, and most serious, health problems. It has the potential to damage vital organs like the brain, heart and kidneys. Millions of people take medications to control their high blood presure, but lifestyle changes are often just as important and can make it possible to handle hypertension without any medicine. Here, experts from the Mayo Clinic offer some non-medicinal ways to control hypertension. Remember, talk to your doctor before changing or eliminating any medication, and ask which lifestyle changes are right for you. If you've been diagnosed with high blood pressure (a systolic pressure — the top number — of 140 or above or a diastolic pressure — the bottom number — of 90 or above), you might be worried about taking medication to bring your numbers down. Blood pressure often increases as weight increases. Losing just 10 pounds (4.5 kilograms) can help reduce your blood pressure. In general, the more weight you lose, the lower your blood pressure. Losing weight also makes any blood pressure medications you're taking more effective. You and your doctor can determine your target weight and the best way to achieve it. Men are at risk if their waist measurement is greater than 40 inches. 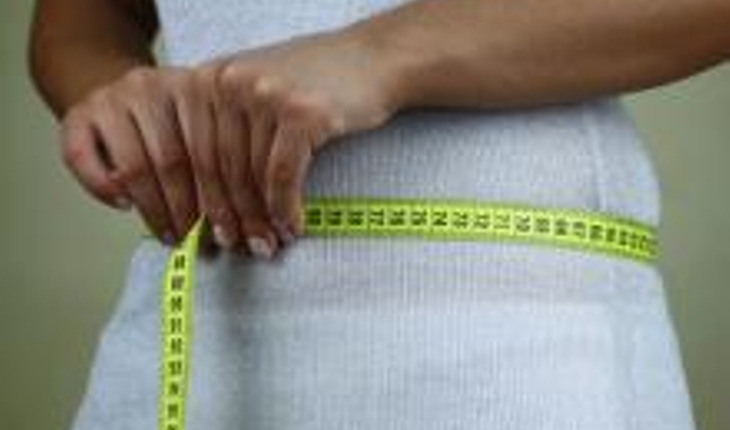 Women are at risk if their waist measurement is greater than 35 inches. Asian men are at risk if their waist measurement is greater than 36 inches. Asian women are at risk if their waist measurement is greater than 32 inches. Regular physical activity — at least 30 to 60 minutes most days of the week — can lower your blood pressure by 4 to 9 millimeters of mercury (mm Hg). And it doesn't take long to see a difference. If you haven't been active, increasing your exercise level can lower your blood pressure within just a few weeks. Be a smart shopper. Make a shopping list before heading to the supermarket to avoid picking up junk food. Read food labels when you shop and stick to your healthy-eating plan when you're dining out, too. Cut yourself some slack. Although the DASH diet is a lifelong eating guide, it doesn't mean you have to cut out all of the foods you love. It's OK to treat yourself occasionally to foods you wouldn't find on a DASH diet menu, such as a candy bar or mashed potatoes with gravy. Limit sodium to 2,300 milligrams (mg) a day or less. A lower sodium level — 1,500 mg a day or less — is appropriate for people 51 years of age or older, and individuals of any age who are African-American or who have high blood pressure, diabetes or chronic kidney disease. Alcohol can be both good and bad for your health. In small amounts, it can potentially lower your blood pressure by 2 to 4 mm Hg. But that protective effect is lost if you drink too much alcohol — generally more than one drink a day for women and men older than age 65, or more than two a day for men age 65 and younger. Also, if you don't normally drink alcohol, you shouldn't start drinking as a way to lower your blood pressure. There's more potential harm than benefit to drinking alcohol. Track your drinking patterns. Along with your food diary, keep an alcohol diary to track your true drinking patterns. One drink equals 12 ounces (355 milliliters, or mL) of beer, 5 ounces of wine (148 mL) or 1.5 ounces of 80-proof liquor (45 mL). If you're drinking more than the suggested amounts, cut back. Consider tapering off. If you're a heavy drinker, suddenly eliminating all alcohol can actually trigger severe high blood pressure for several days. So when you stop drinking, do it with the supervision of your doctor or taper off slowly, over one to two weeks. Don't binge. Binge drinking — having four or more drinks in a row — can cause large and sudden increases in blood pressure, in addition to other health problems. You should also avoid secondhand smoke. Inhaling smoke from others also puts you at risk of health problems, including high blood pressure and heart disease. The role caffeine plays in blood pressure is still debatable. Drinking caffeinated beverages can temporarily cause a spike in your blood pressure, but it's unclear whether the effect is temporary or long lasting. Stress or anxiety can temporarily increase blood pressure. Take some time to think about what causes you to feel stressed, such as work, family, finances or illness. Once you know what's causing your stress, consider how you can eliminate or reduce stress. If you can't eliminate all of your stressors, you can at least cope with them in a healthier way. Take breaks for deep-breathing exercises. Get a massage or take up yoga or meditation. If self-help doesn't work, seek out a professional for counseling. Have a primary care doctor. People who don't have a primary care doctor find it harder to control their blood pressure. If you can, visit the same health care facility or professional for all of your health care needs. Visit your doctor regularly. If your blood pressure isn't well controlled, or if you have other medical problems, you might need to visit your doctor every month to review your treatment and make adjustments. If your blood pressure is under control, you might need to visit your doctor only every six to 12 months, depending on other conditions you might have. Supportive family and friends can help improve your health. They may encourage you to take care of yourself, drive you to the doctor's office or embark on an exercise program with you to keep your blood pressure low. Talk to your family and friends about the dangers of high blood pressure. Reprinted with permission from mayoclinic.org. For more information, visit mayoclinic.org.